Hello my lovely friends! Ramadan Kareem; may you and your family have a blessed Ramadan. For those who don’t know, Ramadan is the holy month for Muslims all around the world. It is a month where we not only fast from sunrise to sunset if healthy of course but also a time to purify one’s heart and become closer to God among other things. This is a true story. A few years back when I was a college student; I hit 190 lbs on the scale and I wasn’t happy with my appearance and I knew my health was going to suffer if I continually gained weight. Something had to change. Well, Ramadan was literally a week away when I had that pivotal moment in my life. I knew I had to take advantage of fasting in Ramadan to help kick off my weight loss. Guess what? I did just that. I didn’t do any fancy research on what to do; how to lose the weight. None of that. 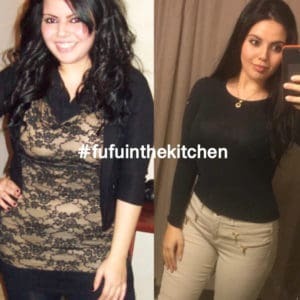 I took what I knew about weight loss and applied it to the situation and it worked. I lost close to 10 pounds that month; every body is different. Some may lose less and some more. Do not be discouraged with your results in any weight loss situation; just stay persistent. We are more likely to gain weight in Ramadan! Why? Well, we are eating after 8 pm in our part of the world and even later in some other countries. The later you eat, the less likely your body will metabolize the food you are eating. Instead, it will stick in your gut. Most people who eat a lot later in the evening gain weight especially eating sweets and carbs! We all know Carbs (pasta, bread, rice) are not the best for us when trying to lose weight. It’s something that has been engraved in our heads for years. So, what do you do? You cut it out! Do not eat any bread, rice, or pasta along with other bad carbs during the month of Ramadan when you break your fast or at suhoor time. You want to eat the least amount of carbs. Now, you may be wondering..so what do I eat?! Traditionally, an iftar meal (meal that we break our fast with) consists of courses. First, we usually break the fast with a date, then with a bowl of nourishing soup followed by a plate of salad. Then, dig into the main course. I want you to do just that! I want you to break your fast with a date, have your soup, eat a big plate of salad, drink a bottle of water and then dig into the main entree. If the main entree is kofta (ground beef kebab) and potatoes. You eat as much ground beef as you want but do not touch the potatoes. They are a starch and carb. If the soup has pasta in it; drink the broth and exclude the noodles. If the salad, has croutons on it; take them off and eat the greens. There is always a way around something if you truly want it. Do not make excuses for yourself. After dinner, comes dessert. I’m sure you know what you have to do but I will remind you. Do not eat those sweet treats whether it is atayef, brownies, knafeh. Instead, if your sweet tooth is kicking in; eat a date which is natures sweet treat. Eat a piece of fruit. Maybe a banana with a tbsp of almond butter and cinnamon. Do this only when your sweet tooth is calling your name and you cant seem to resist. Eat a much healthier dessert option. Have chia seed pudding which is just almond milk and chia seeds with an addition of a tiny bit of sweetness. A tip when craving sweets; chew a piece of gum. Usually in my case, this helps take away cravings and I forget that I even wanted a sweet treat. 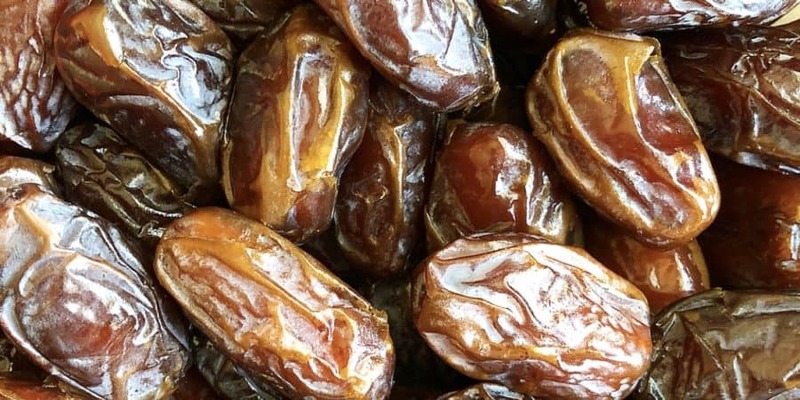 For suhoor, I always ate a date and drank 2 bottles of water then prayed fajr and went to bed. My husband likes to have a protein shake which you can do. You can make the chia seed pudding in this case as well and eat it. If you do want some carbs then implement it now; early morning then later at night. So, maybe have a small portion of overnight oats which is prepped ahead of time and therefore saves you time in the a.m. You can eat some eggs with a little cheese if you want. Maybe some olive oil and zaatar on the eggs too! I know that this seems difficult. If you fast then you know as soon as it is time you eat; you have your plate ready and you finish it in a matter of 5 minutes because you are starving! Take a step back instead, and prep your plate ahead of time with a majority being salad and roasted vegetables and protein. So, you make sure to eat that and not nibble on other things. It takes time to get in the groove of things and for your body to register what is going on. The first few days will be the hardest to adjust to but then it gets easier! Now, working out is another key in weight loss. Some of you may be thinking, how can I do that while fasting? It seems like it wouldn’t be a good idea especially since you cant hydrate with water. Well, what I do is work out for 45 minutes to 1 hour doing cardio right before iftar time. So, if its time to eat at 8 pm. I go to the gym at 6:50 and try to be home by 7:50. I wash up and I am ready for iftar. That means be done cooking iftar by 6-6:30. You can do the same if you are invited for dinner as well! The intensity of the workout is up to you. Do what you are able to. Some days you will be more energized than others. Cut a workout short if you aren’t feeling up to it. It is okay! In some cases, you can do two a day workouts where you work out before and after iftar. Maybe 40 min before and 40 after. Then wash up and go to taraweeh prayer. This month is meant to help you focus on yourself and better yourself. What better than through practice of good health and prayer? Also, while doing cardio, listen to quran instead of music or listen to an Islamic lecture on a topic you are curious about. Take the time to grow in your faith and get healthy at the same time! For those who lift weights, I do not recommend doing so before eating but rather after. Make sure when its time to break fast to hydrate yourself! That is very important. Same during suhoor time. Also, take your vitamins every day when you wake up for suhoor. I always recommend taking a multi vitamin, which will boost any deficiency in vitamins you may have. This will keep your nourished as well. Coconut water is also suppose to be very hydrating; maybe invest in a case of that! I hope all these tips helped on how to lose weight in Ramadan! This isn’t a fancy regimen but it works. Its fairly simple yet difficult at the same time. If you want it; go after it! It all depends how badly you want something. Feel free to message me with any questions. I have the intention to follow this regimen this month because I too want to lose weight and be a healthier me. I will upload my daily meals onto my social media so you have an idea what I eat at iftar following this regimen; hopefully it will inspire you to do the same. Remember, dedication and consistency is key to weight loss. Do not give up on yourself! Message me if you need some motivation. You got this! Happy Ramadan! My God accept our fast, deeds, intentions and multiply our rewards during this blessed month. You’re so very thoughtful in your posts. Thank you. Can’t wait for you to share with us your professional benchmarks, beautiful!